Metal Of Honor’s 5th anniversary show lights up Brisbane’s CBD with a full on metal show at The Tank Hotel. 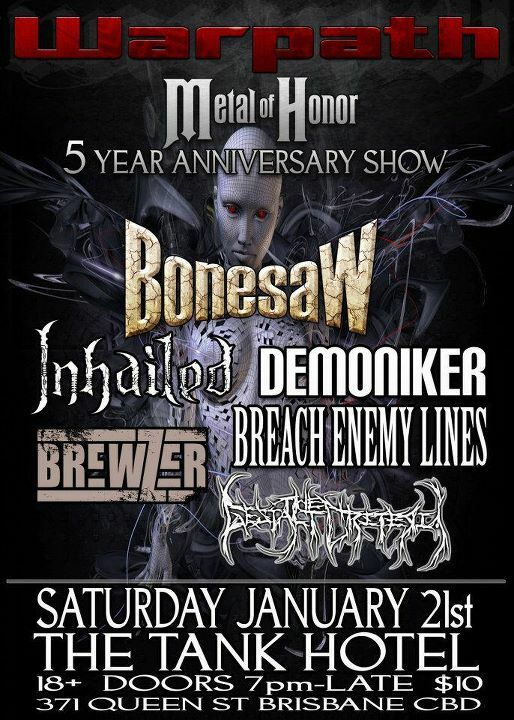 There is plenty of insane metal action to be had for a mere $10 at the door. Bring your metal-head mates and rock out with us!